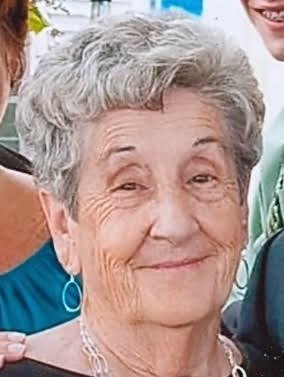 GENTILE: Mary Joan (Santangelo)Gentile, 87 of Waterford, entered eternal life on April 1, 2019 at home in the company of her loving family. She was born June 12, 1931 in New London the daughter of the late Salvatore and Fannie (Fortunato) Santangelo. Mary attended local school in New London and graduated from the former Williams Memorial Institute. She was united, in marriage, to Cosmo S. Gentile on Aug. 4, 1962 in St. Joseph Church. 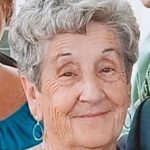 Mrs. Gentile was a communicant of Our Lady of Perpetual Help Church, an active member of the Ladies Guild for many years and a member of the Lions Club in Waterford. Besides her, husband Cosmo, of nearly 57 years. She is survived by three children; Cosmo J. and wife DeAnne Gentile of RI, Albert Gentile, Maryelizabeth and husband Thomas Tryon all of Uncasville. Two grandsons; Joshua and Jacob Gentile. Two sisters; Louise Morgan and Fannie Santangelo. She was predeceased by two sisters, Viola Howatt and Lucy Johnson. Her family will receive relatives and friends on Thursday morning from 10 am to 11 am at the Impellitteri-Malia Funeral Home, 84 Montauk Ave. New London. Follow by a Mass of Christian Burial at 11:30 am in Our Lady of Perpetual Help Church, 63 Old Norwich Rd. Quaker Hill. Interment in Saint Mary Cemetery, New London. In lieu of flowers, donations in her memory to Center for Hospice Care, 229 Dunham St. Norwich, CT 06360, or Visiting Angels Home Care, 1 Fort Hill #9 Groton, CT 06340. Mary’s family would like to thank Hospice and visiting Angels for their kind and wonderful care.